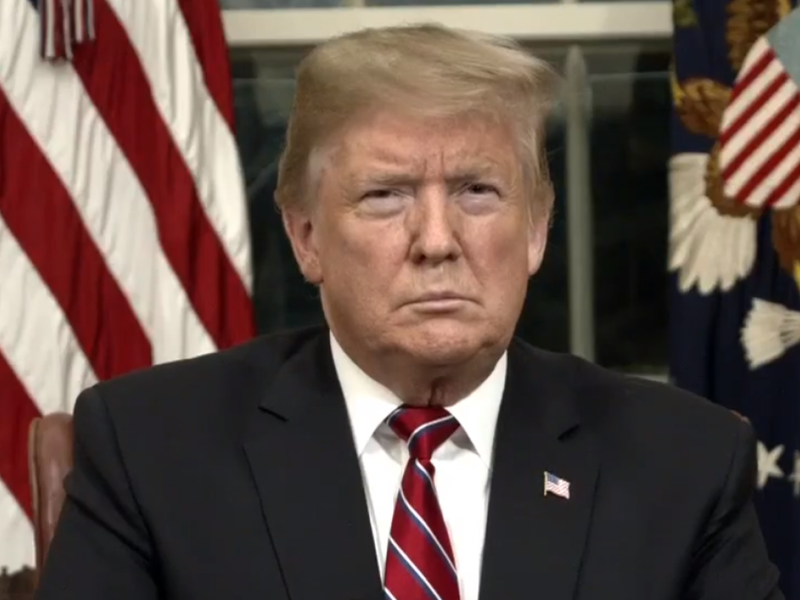 Amid the lengthy shutdown crippling federal services nationwide, President Donald Trump doubled down on his commitment to construct a southern border wall in his Tuesday address. Trump attributed domestic economic concerns to southern border violations. Violence and deteriorating public health were similarly said to be compromised by an unsecured border. “Our southern border is a pipeline for vast quantities of illegal drugs, including meth, heroin, cocaine and fentanyl,” he said, citing southern origins for 90 percent of the heroin involved in deadly overdoses. Trump requested more agents, immigration judges, bed space, medical support, humanitarian assistance, and the closure of border security loopholes. He also appealed to Congressional Democrats for appropriations enabling wall construction, which he assured would pay for itself both through the USMCA trade deal and through the reduction of drug-related public health costs. 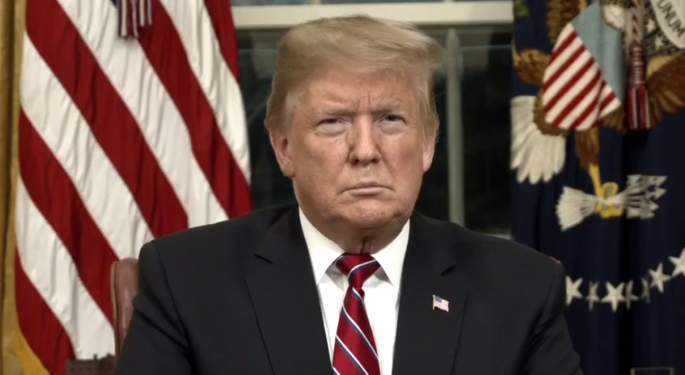 Trump's Tuesday night address was his first from the Oval Office since becoming president in January 2017. Senate Democratic Leader Chuck Schumer and House Speaker Nancy Pelosi reiterated demands to end the federal shutdown before negotiating border security. Schumer and Pelosi conceded the need to improve border security but appealed to the president to separate the debate from shutdown negotiations and to pursue solutions they deem more effective, including improved infrastructure at entry ports, drug-detecting technology, and appointment of immigration and trade facilitators at the border. Trump invited Congressional leaders to a brief meeting Wednesday to settle on national security appropriations and end the shutdown. However, with neither side showing signs of compromise, achievement of a novel solution appears unlikely.